Wow! I cannot quell my enthusiasm for using bitters in the kitchen. Angostura bitters adds such a punch of flavor to so many everyday foods, that I’m riding high on the possibilities. Hence, the burger recipe here, which I’ve added to my collection of all-time favorite burgers. The other I shared with you last summer, my Divinely Delicious Burgers. I got turned on to the power and versatility of using bitters when asked to develop recipes for a client. Ever since, I’ve been a disciple! Angostura bitters is something like a fish sauce (in usage, not taste-wise) that you use to enhance flavor and add another dimension—another layer of flavor. In a small bowl or measuring cup, whisk together milk, egg, lemon juice and 2 teaspoons Angostura bitters. (It’s okay if the milk mixture curdles a bit.) Gradually fold into meat. Form into 8 patties. For topping, stir together ketchup and 1 tsp. Angostura bitters. * Grill hamburgers (or pan-fry) until cooked as desired, 4-5 minutes per side grilled on medium-high heat. Serve burgers topped with Angostura-laced ketchup. * Ketchup topping may be doubled. For more ways to use Angostura, take a look at the short video from the New Orleans Tales of the Cocktail conference two weeks ago. I describe our luncheon menu at about the 1:15 minutes mark. Rita – Angostura Bitters in foods is new to me but it is certainly a ‘hot’ ingredient now. 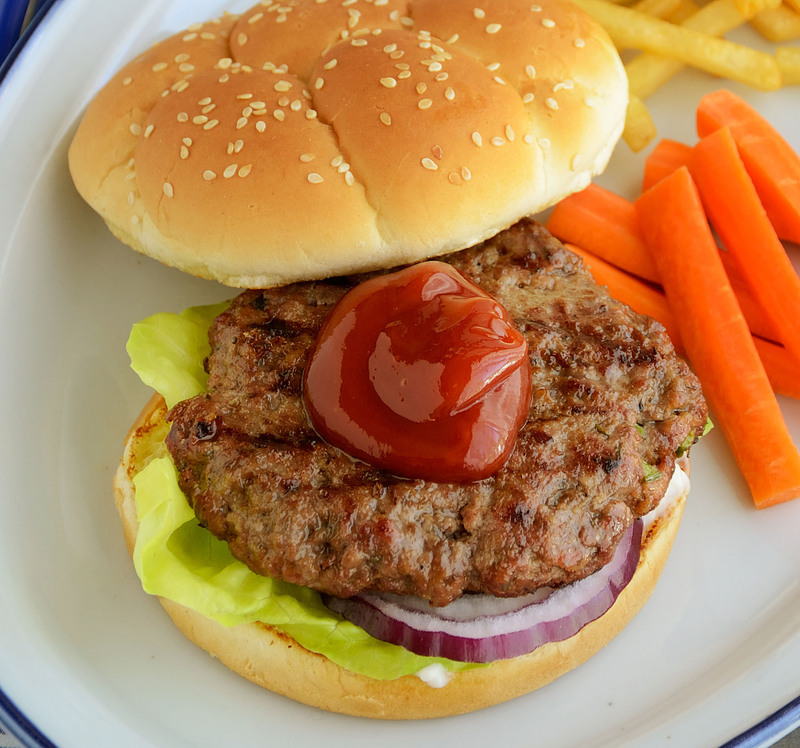 I just tried your ketchup recommendation and love it! Thanks for the feedback, Rosemary. What did you use the bitters ketchup on? Awesome issue (or whatever you call it)! That burger look so yummy! Thanks for sharing the recipe and ingredients,i can’t wait to try this at home. When you do try the recipe, let me know if you liked the burgers (and the ketchup!). These sound really good. Maybe also with ground lamb? However I love the sound of Angostura Bitters burgers. The blog is great. Recipes short and concise and interesting. Nutitional analyses is important.